PAGE (DAM - Mother), is ranked 19TH IN THE WORLD (JKLH/2016), the granddaughter of TWICE WORLD CHAMPION VA1/SG1Zamp vom Thermodos. 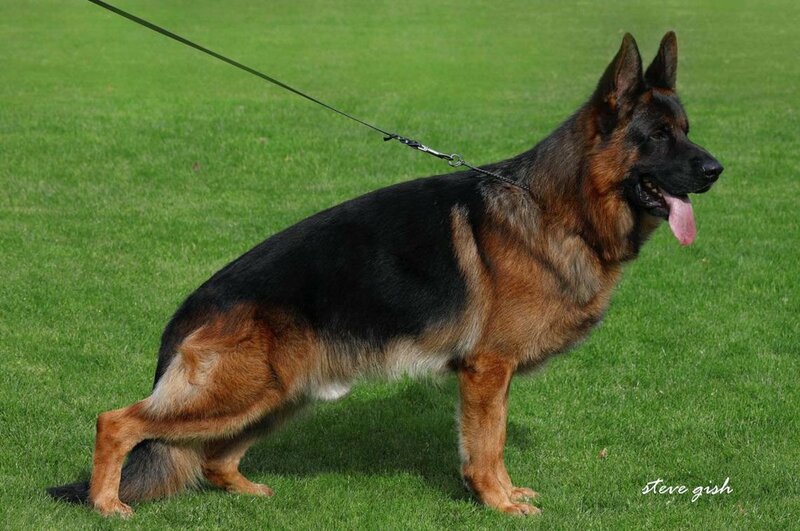 Her grandfather is THREE TIMES WORLD CHAMPION VA1/VA1/SG1 Vegas du Haut Mansard. 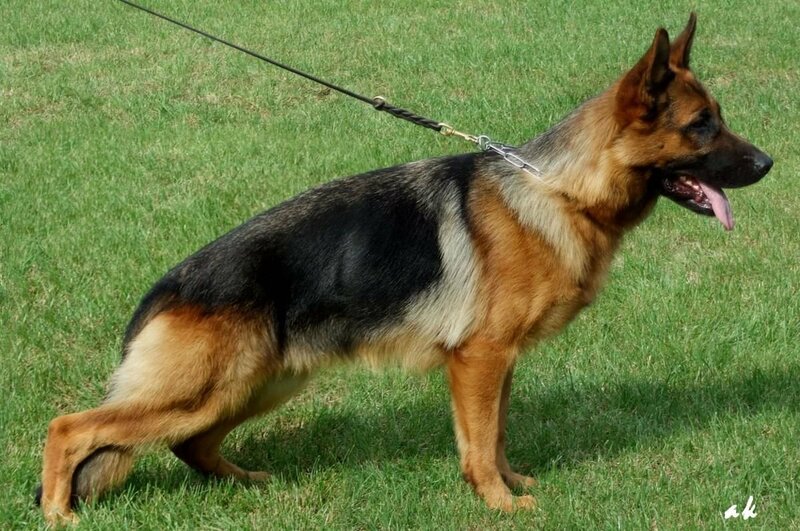 Page a correct size female, strong, powerful, titled in schutzhund (SchH1/Kkl1), recommended to breed breed report, very healthy pedigree from both parents, she is absolutely clear in the head ready to please and ready to play attitude. Excellent with family and children.